This month we focus upon a common pet problem — hotspots. While they are more prevalent during the summer, they can occur year-round and cause your pet tremendous discomfort. Hotspots are areas of red, moist or inflamed skin that can be found on your pet where ever they can reach with their mouth or feet — including the head, neck, back, legs and feet. Hotspots, also known as acute dermatitis, can also be represented by lesions, scabs and localized loss of hair. Most importantly, hotspots are enormously sensitive and irritating to your pet so they tend to lick, chew and scratch in attempt to acquire momentary relief. Unfortunately this activity tends to make the hotspots even more discomforting for your pet. A challenge is that the presence of hotspots can rapidly appear and spread through your pet’s frequent licking, chewing and scratching. Left untreated, hotspots can quickly result in traumatized skin that can become infected and ooze fluid. Ultimately the wound will crust or form a scab — pulling on your pet’s hair. And this sensation can re-start the licking, chewing and scratching behavior — making a bad problem worse. The best way to help your pet acquire relief is to schedule an appointment with us. We’ll identify the underlying cause and develop a treatment to address the issue and provide your pet with much the needed relief they seek. The temporary relief of hotspots can involve moist compresses and the application of hydrocortisone via a spray or cream. However you must recall that your pet’s skin will be incredibly sensitive, and touching may result in great pain or discomfort to your pet. Often the best solution is to have the area professionally evaluated and treated by a veterinarian. The treatment will begin by carefully removing pet’s hair in and around the affected area. Then the wound will be fully flushed and disinfected — followed by the application of a topical solution. Additional medications and treatments may be administered or prescribed depending upon the severity and root cause of the hotspot. But now the real work begins — keeping your pet from licking, chewing or scratching the affected area. It will be up to you to monitor and engage your pet until the wound heals. An e-collar may be the answer in extreme situations, but it is often the last resort. How can I make my pet feel more comfortable? After treating the hotspots, spending time with your pet is among the best ways to make your pet comfortable. Engagement and exercise will provide a level of distraction and your pet will enjoy being with you. During your time together you can gently discourage licking and scratching — and you can also seek to understand what environmental or behavioral factors may have contributed to the formation of the hotspot. What are the dangers of hotspots? Untreated hotspots can become infected resulting in heightened pain and present a real health risk for your pet. Furthermore, some hotspots can be produced by fungal infections which can be spread by contact to other pets and even people. The frequency of hotspots can be reduced through strong grooming practices — including periodic baths and regular brushing. 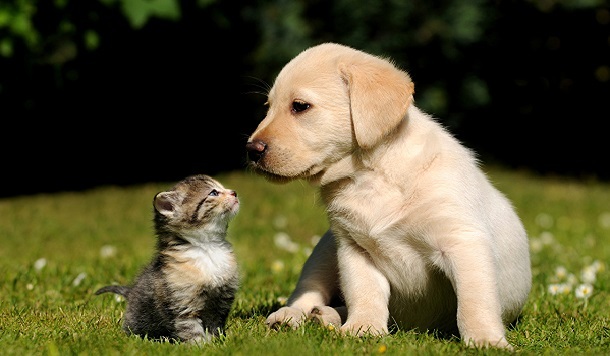 Of course, you should ensure that you’re adhering to your pet’s flea/pest treatment regimen. During the hot months, you may also consider trimming or clipping your pet’s hair. And be sure to fully dry your pet after a bath, swimming or being caught in a rain storm. Perhaps the best way to avoid hotspots is to observe your pet. If they scratch or bite regularly, you should pay particular attention to the target area — looking for insects, bites or potential sources of skin irritation from the environment. The objective is to understand and treat the issue before it becomes a painful hotspot. Lastly, some pets stress when they are alone. So consider lunch-time visits, the opportunity to bring them with you as you conduct your daily routine, or even a second pet to keep boredom at bay. The entire team a Kirkwood Animal Hospital is available to answer any questions about hotspots or any other topics that may impact your pet’s health, wellness or happiness. We hope you have a great August!